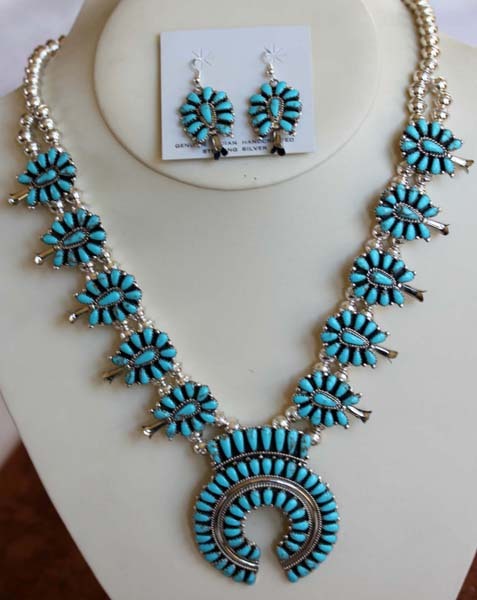 Brand new, Navajo Native American Indian crafted Squash Blossom Necklace and Earring Set. It is made from sterling silver and turquoise. The total length is 23". The naja measures 2 7/8" in length. The blossoms measure 1 1/4" by 7/8". The earrings are 2" in length and 7/8".